Well, another year has come and gone. This year started with an adventure to Washington DC where I spent four months working as an Intern for the US Senate. My time in DC was amazing, full of experiences and lessons. I'm glad for the experience, but DC is too humid and too expensive (living on the wages of an intern). Coming home started a new adventure with Grad School and a trip up to Seattle for the Grand Assembly for the Red Cross of Constantine. The fall brought more Grad school and the Annual Communication of the Grand Lodge of Idaho where I gave my Grand Oration. The rest of the fall flew by in a whirlwind of Masonic meetings and tons of reading for Grad school. The winter break came with enjoyable news: I achieved a 4.0 for the semester. The rest of the time has been spending time with family and more reading for my Master's Thesis. 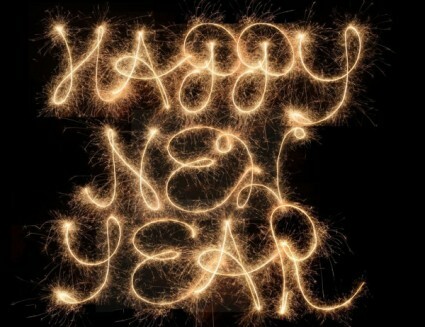 Now, I'm again spending New Year's Eve with some of the guys I was in charge of in the Army National Guard. 2016 is going to be an exciting year for me. The fourth of the Kappa Sigma founders was John Covert Boyd. 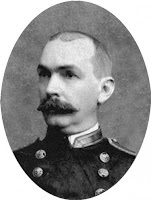 The son of William Simms Boyd and Laura Nelson Covert, he was born on December 24, 1850, near Bradford Springs, South Carolina. Boyd attended the University of Virginia from 1869 to 1871, during the fall semester he was a founder of the Kappa Sigma fraternity where he served as Grand Scribe. In the second year at UVA, Boyd followed in the footsteps of his father and entered into the medical program, but the next year transferred to the University of the City of New York. After attaining his Doctorate in Medicine in 1872, he became a surgeon and, later, medical director of the United States Navy Medical Corps. In 1887, he married Katherine Dorr Willard who gave him a daughter, Alice, and a son, Walter (who would go on to join Kappa Sigma). His naval career also included serving as Assistant to the Chief of the Naval Bureau of Medicine and Surgery and representative to the Association of Military Surgeons of the United States. In 1902 he became a professor for the Navy Medical College and also took charge of writing the book of instruction for medical officers. In 1905, President Teddy Roosevelt appointed him to the Board of Incorporators and Executive Committee of the American Red Cross. John Covert Boyd died on July 7, 1927 and is buried in Arlington National Cemetery. Tonight at 9:49 PM (Mountain Standard Time) marks the Winter Solstice, the shortest day of the year and the longest night of the year. After the Winter Solstice, the days will start to get longer again and the nights shorter. 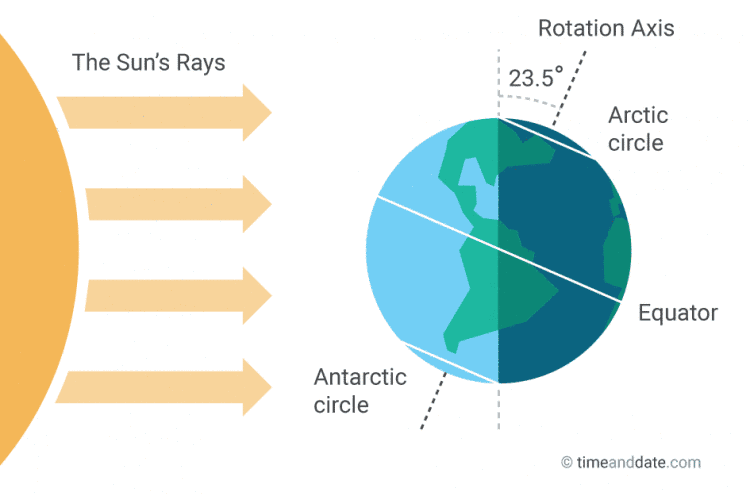 As the Earth is slanted on its axis (23.5°), anything north of the Arctic Circle receives no direct sunlight during this time. This slant is what causes our seasons. Astronomical events such as this were used as guides for planting and harvesting crops as well as monitoring food reserves. Starvation was common so it was necessary to ensure there would be enough to last through to Spring. The Winter Solstice was often the last big feast before snuggling down for the wintertime. As a way to save food for humans, the cattle was slaughtered which provided a source of fresh meat. The Winter Solstice plays an important in role several cultures and religions around the globe and has done so for more than 6,000 years. The Winter Solstice is one of the most important events in human history. While the traditions and faiths varied, the celebrations surrounded the celebration of the rebirth of the sun, the rebirth and victory of light over darkness, and often personified in the rebirth of a savior or messianic god such as Attis for the Romans, Dionysus for the Greeks, Mithra for the Persians, Horus for the Egyptians, Tammuz for the Sumerians, and the list goes on. In ancient Rome, there was held a week-long (December 17th to December 24th) held feast called Saturnalia in honor of the titan Saturn, father of the gods, who was considered a god of time and of the sun. During this time, work and business were stopped in lieu of feasting and frivolities; often turning into debauchery. As the Roman religion was an inclusive one they adopted more and more gods who shared the Winter Solstice as their birthday, so Emperor Aurelian established the 25th as "Dies Natalis Invicti Solis" or rather "the Birthday of the Unconquered Sun." The ancient Greeks held also held a festival similar to Saturnalia, but they called theirs "Lenaea" and served to honor Dionysus. Sources say that "Lenaea" translates into "the Festival of the Wild Women" where women would dance together without any male companionship. It was said that either a goat or a bull would be slaughtered during this celebration as a sacrifice to the gods. The ancient Germanic and Nordic pagans would celebrate the Winter Solstice by honoring Jólner during their festival "Yule"; often spelled in a variety of different ways. Jólner was one of the many names of the Norse god Odin. During this festival, sacrifices were performed to gain the blessing of the gods on their crops during the next harvest. Yule Logs would be burned and could last 12-days, during which time the people could eat. The fires were not just lit for the food, but were also used to commemorate the light of the returning sun that was soon to come. Germanic practices have had an influence on modern Christmas lore such as Santa Claus, but that figure is influenced by a number of cultures and ancient practices to be discussed at another time. Celtic druids celebrated "Alban Arthan" which translates to "Light of Arthur" and is supposedly the day when King Arthur was born. Some of the ancient Celtics believed the sun stood still for 12-days and to counter the darkness and shortening day, they light fires. These ancient people and others built megaliths such as Newgrange in Ireland or Stonehenge in England. Newgrange is located in the valley of the Boyne River (north of Dublin) and is said to be around 5200-years old (older than Giza and Stonehenge). This structure is perfectly aligned to the sunrise of the Winter Solstice. Some say that as the rays pierce through the window into the tomb of Newgrange is said to represent the rays of their sun god uniting with mother earth, thus bringing new life to the world. In addition to sacrifices, plants also served a purpose for the Celts as some like mistletoe were said to have magical and protective powers. While it's not exactly known what type of religious rituals were used, but pyramids have been found in South America (like Peru and Brazil) that are aligned with the Winter Solstice. In the Hebrew tradition, Hanukkah, the Festival of Lights, is practiced and which commemorates the dedication of the Second Temple. This holiday lasts for 8-days, but the exact time when it occurs changes as the Jewish calendar doesn't coincide with the Gregorian calendar used today; it may occur at any time from late November to late December. Some argue that Hanukkah isn't a solstice festival as it based on a lunar calendar, but it has many characteristics of a solstice festival. For those of us in the Christian faith, the Winter Solstice is a time for Christmas which doesn't rest on this day, but the 25th of December. In early Christianity, there was neither Christmas nor any correlation with Christ's birth to this time of year. During the 4th century, Rome was going through a conversion from the various pagan religions to Christianity and as such, to better ease the conversion, Pope Julius I chose December 25th as the birth of Christ as a replacement for "Dies Natalis Invicti Solis." It would take several centuries before most of Christendom would universally practice Christmas in some form. Many Biblical scholars believe that Jesus of Nazareth would have been born in the fall and some argue it was in the spring time. 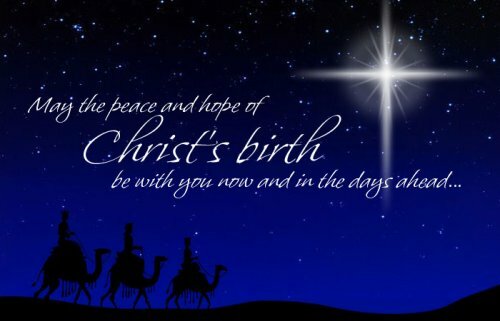 Many would criticize the Christian faith for such things, but I find the discrepancies to be irrelevant as we Christians are celebrating the birth of Christ, not the day itself so the exact date of his birth means very little. In Freemasonry the solstices are affiliated with the Holy Saints John, our patron saints. These two serve as a balance of the virtues every Mason should have and which lead to enlightenment. Some have pointed to the Point Within A Circle as a representation of the solstices and which one can see: the two saints standing on either side of a circle to represent the points in time that would equate to the summer and winter solstices which align closely to the Feast Days for each of the Saints John. Whatever your faith may be, I hope you enjoy this day and Happy Holidays! 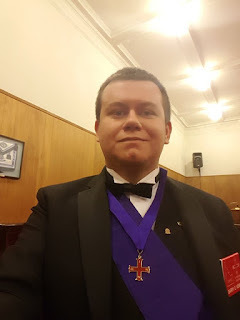 Today St. Michael's Conclave of the Red Cross of Constantine we held elections and Knight Companion Art Shoemaker, Junior Past Grand Master of the Grand Lodge of Idaho, was elected and then installed as Puissant Sovereign. I was appointed by him to serve as Sentinel for the ensuing year which puts me into the progressive line of officers for my Conclave. For the last 3-years I've served as Orator for my Conclave which position has a large part in the ritual of the Order of the Red Cross of Constantine as he gives the historical lecture of the order.